Even a “minor” car accident can be a terrifying and traumatic event. A single crash can change the entire course of a survivor’s life by inflicting painful, long-lasting physical wounds, as well as devastating emotional trauma. To make matters worse, the terrible injuries sustained by crash victims are often very costly, and in some cases may require years or even a lifetime of expensive treatments. During this challenging time, you are simply trying to recover from your injuries and move forward with your life. The last thing you want to do is engage in a draining uphill battle against greedy, evasive insurance companies. Fortunately, you don’t have to face the situation alone: Ken Kieklak, Attorney at Law is here to help you fight for accountability, justice, and rightful compensation for all the suffering you and your family have endured. To schedule a confidential legal consultation, call our law offices right away at (479) 251-7767. You only have a limited time to file a claim following an accident, so don’t wait until it’s too late and the deadlines have already passed. Call us today to get started exploring your options. What Should I Do After a Car Accident In Arkansas? The aftermath of a crash is almost as chaotic and as the accident itself. In the flurry of paperwork, documentation, phone calls, and investigation, it can become very easy to feel hopeless and overwhelmed — particularly when you are already struggling to heal from painful injuries. If another motorist was at fault for the crash, you should not have to accept the financial burden caused by his or her poor driving choices. However, there are certain steps that every driver should take after a car accident. Some steps are common-sense and taken in the best interests of your own safety. Other steps are more legalistic in nature and either imposed by Arkansas state law or your interests in obtaining compensation from the other driver’s insurance company for your serious injuries that may include a TBI, broken bones, spine and neck injuries, and other serious injuries. The first thing you should do after being involved in a car accident, is to ensure that you can reach safety. If the car is still able to be moved and you are medically able to do so, you should attempt to move the vehicle from the travel lanes. Taking this step can reduce the likelihood that the disabled vehicle is hit in a secondary collision that causes additional injuries to you and others. If the vehicle is damaged so severely that it cannot be moved or you have sustained serious injuries that prohibit you from moving, the exact circumstances and location of the accident and your medical condition will dictate whether it is safe or possible for you to exit the vehicle and fine a safe location away from the flow of traffic. Once you have reached safety, there are certain pieces of information that you should obtain from the other driver. If possible, you should write down or, with your smartphone, take a photograph of the other driver’s license plate. You should be sure to ask the other driver for his or her insurance information. Every owner of a car, truck, van, or other vehicle in Arkansas is required by law to have, at minimum, liability insurance coverage. Liability insurance covers the damage the insured individuals may cause to the vehicle or property of another driver when they are at-fault. It is also a good idea to obtain contact information for the other driver. While this information can typically be obtained later in the process, obtaining it now can reduce the work-up required later. Am I Required to Report all Car and Truck Accidents to the Police? If you are planning on making a claim with the at-fault driver’s or even your own insurance company, a police report setting forth the time, location, and details of the accident is frequently useful. However, there are also certain scenarios where the driver is required by law to report an auto accident. The first scenario involves any accident that results in damage to the property – including the vehicle – of any one person of $1,000 or more. The second scenario where an accident report is required by law is when any person suffers a bodily injury or is killed in the accident. This obligation is satisfied by obtaining and completing Arkansas Motor Vehicle Accident Report (SR-1). This form should then be filed with the Safety Responsibility Section of the Office of Driver’s Services. All drivers involved in the accident are required to complete and file this form regardless of whether they are at-fault. How Common Are Car and Truck Accidents in Fayetteville and Throughout Arkansas? Millions of automobiles are traveling along the roadways at any given moment in time. With so many cars and other motor vehicles sharing limited space at high speeds, accidents and collisions are unfortunately all too likely to occur. 2,068 crashes with property damage. 340 crashes with injury (resulting in 430 injuries). 7 fatal crashes (resulting in 9 fatalities). That means on an average day in Fayetteville, nearly seven crashes occur. That’s about one crash every three and a half hours. More recent statistics largely comport with this information. More recent accident reports from 2015 detail crashes on Highway 16 west of Fayetteville, Round Mountain Road east of Fayetteville, and State Highway 16. Other major roads in the area where accidents have occurred include US 62, State highway 170, and US 412. Due to the high speeds and volume of commuter and commercial truck traffic, many of the fatal crashes occurred on or near Interstate 49. What Are Common Auto Accident Injuries Reported by Drivers and Passengers? Of the 2,415 crashes that occurred in Fayetteville in 2011, 340 resulted in physical damage to drivers or passengers. That means just over 14% of accidents lead to some sort of injury. This list covers only a narrow selection of injuries that can occur due to a head-on collision, rear-crash, and other accidents. The unfortunately reality is that some of the most serious accidents often inflict multiple serious injuries or result in death. How Doers At-Fault Insurance in Arkansas Work? Arkansas is an “at-fault” state (as opposed to a “no-fault” state). Under the statewide at-fault system, the motorist who was responsible for the accident is also responsible for the expenses resulting from any property damage or physical injury that may have occurred. In other words, the driver who caused the accident is financially liable for the damages caused/. It’s also important to note that in Arkansas, it isn’t only drivers who are affected by insurance regulations. A passenger in a crash may also file a claim. $25,000 per person for physical injury. $50,000 per accident for physical injury (more than one person). Nearly all insurers offer greater coverage limits. In consideration of the fact that minimum coverage limits can be exhausted quite quickly in multi-car pile-ups and in accidents causing catastrophic injuries, it is a good idea to purchase coverage that exceeds the minimum required levels. What Happens if I get in an Accident and the At-Fault Driver is Uninsured or Under Insured? Most people know that state law requires drivers to purchase minimum levels of insurance coverage. What people often fail to realize is that the law also requires the insurance company to provide the opportunity to also purchase additional coverage for uninsured motorists and underinsured drivers. You should be aware of the coverage limits and whether these policies extend to property damage, bodily injury or both. Also, additional personal injury coverage is available. Uninsured motorist coverage will provide compensation for your damages if the other driver does not have insurance. Underinsured coverage will kick-in and provide additional compensation coverage if the at-fault driver’s insurance is insufficient to cover your injuries or other damages. If you suffer serious bodily injuries in a car or truck accident, it is highly likely that negotiation with the at-fault driver’s insurance company will be necessary. If the driver is uninsured or underinsured, you may have to negotiate with your own insurer. The essential thing to remember in these negotiations is that the claims agent or insurance adjuster does not work for you. They work for the insurance company. Their goal is to keep expenses from insurance claims low. In many cases, their performance goals or bonus may be tied to the level of compensation they award. The first offer you receive from a insurance company is rarely the best offer and in many cases will not provide adequate compensation to cover the costs of your injuries. If you’ve been involved in a serious car or truck accident in Arkansas, you have enough on your mind as you recover from your injuries and You need the support of an aggressive, committed attorney who can protect your legal rights and advocate on your behalf. Fayetteville car accident attorney Ken Kieklak has nearly 20 years of experience representing crash victims and their families, and is dedicated to pursuing justice for every client. When you need the assistance of an experienced and respected law firm, you can call on Ken Kieklak. We don’t receive payment unless you do. 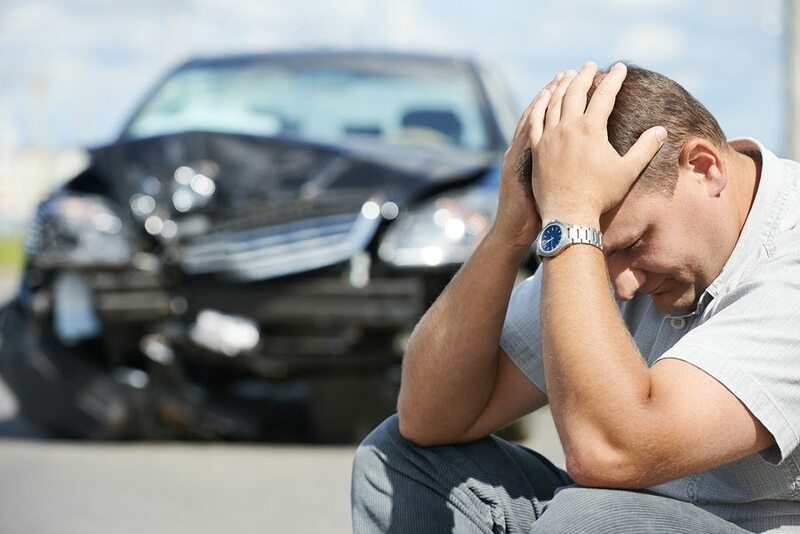 If you or someone you love has been hurt in an auto accident, you could be entitled to significant compensation for your pain, suffering, and medical expenses. To speak confidentially about your case with an experienced auto accident lawyer, call Ken Kieklak, Attorney at Law right away at (479) 251-7767, or contact us online.